FoldHaus art is inspired by origami as an art form, and how we can scale origami to create large, interactive, kinetic sculptures made from a material different than paper. 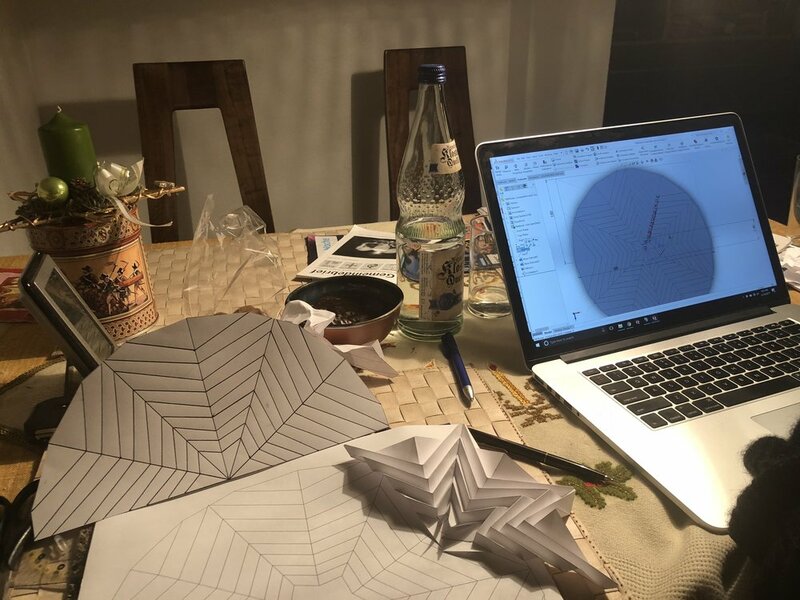 All of our art pieces are based off known origami patterns which we then connect to create rotational geometric shapes that can be motorized later. We enjoy playing with the perception of scale. Our sculptures remind people of shapes that are familiar – flowers, mushrooms, and even single cell organisms (OK, RadiaLumia might be a bit less self-explanatory for non-biologists), which makes them approachable, yet surprising. We also are inspired by origami patterns that can be found in nature, such as the Hornbeam leaf, which creates stability through a mountain and valley pattern similar to the fold patterns our art is based on. 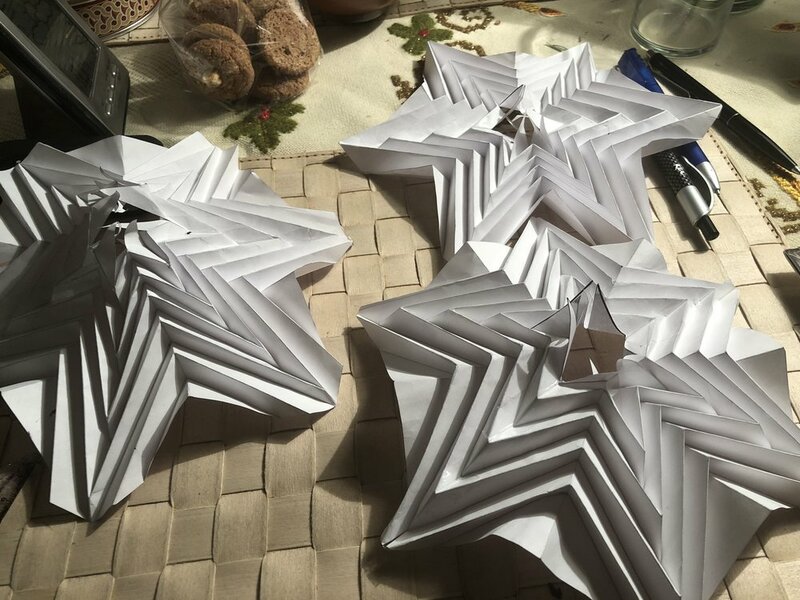 Blumen Lumen and RadiaLumia are adapted versions of the Miura-ori fold pattern (named for its inventor, Japanese astrophysicist Koryo Miura), which allows for infinite possible variations to change the appearance and the curvature of the folded sheets. 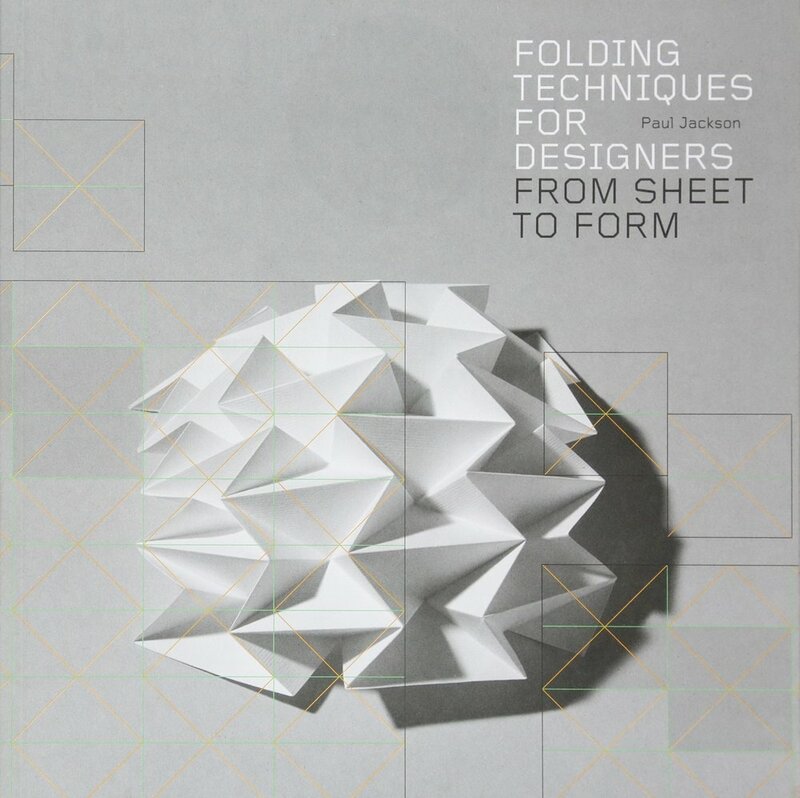 Joerg started experimenting with this fold pattern in art school when looking to create a structure that would be both light weight and sturdy, which resulted in the Ha Ori shelter. For Blumen Lumen, we used a similar pattern, and for RadiaLumia we evolved it as a radial pattern to create the shells that cover the sculpture’s surface. In our research we also came across the Origami Magic Ball in various videos and photos and loved the movement, which inspired the expanding and contracting movement of the Shrumens. 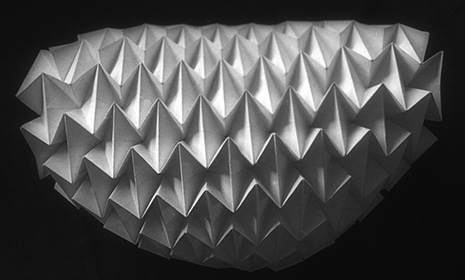 The Origami Magic Ball (also known as Dragon's Egg) was designed by origami artists Yuri and Katrin Shumakov in the 1990ies. The Shumakovs have created an entire body of work based on this design, as well as several books and instructions. Inspired by the Origami Magic Ball design, we began to experiment to evolve it into a pattern that would form the desired shape of a mushroom cap for both its extended and compressed shape. After many iterations, we figured out the right aspect ratio and attachment points for the internal structure to support the shape and movement. All of our patterns are designed to maximize the standard industrial sheet size of the 10x5ft (3m x 1.5m) polypropylene material we use. Each Blumen head and RadiaLumia shell uses two of these sheets, the Shrumen head uses 12, and our Burning Man Yurt was using 34 of them.